SFC Pitz is the assistant operations noncommissioned officer (NCO) for SOD-O. He was a member of one of the three Maryland National Guard SOD-O teams that competed at Leapfest 2018, a Department of Defense-sponsored static line parachute training event and competition held last summer in West Kingston, Rhode Island. The Maryland National Guard teams finished with scores that placed the SOD-O in the top 10 finalists section. 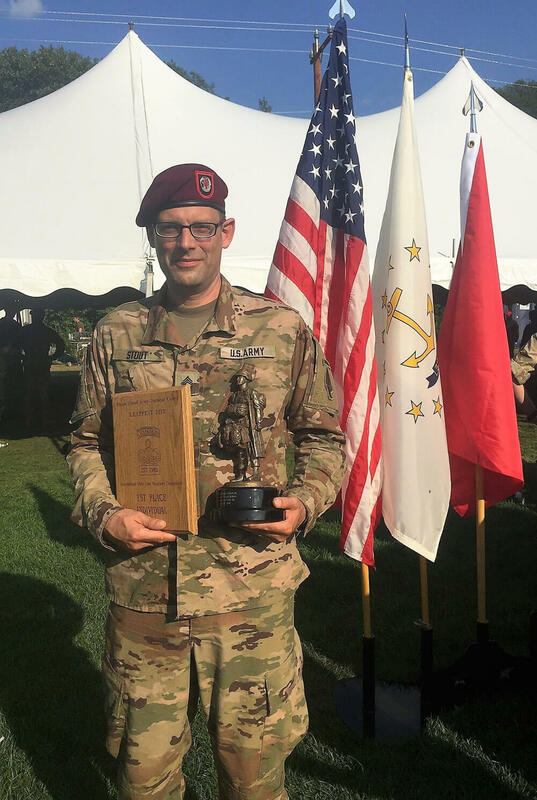 One team member in particular, MSG William Stout, claimed the title of Best Paratrooper in the World with the top individual score of the 2018 competition. 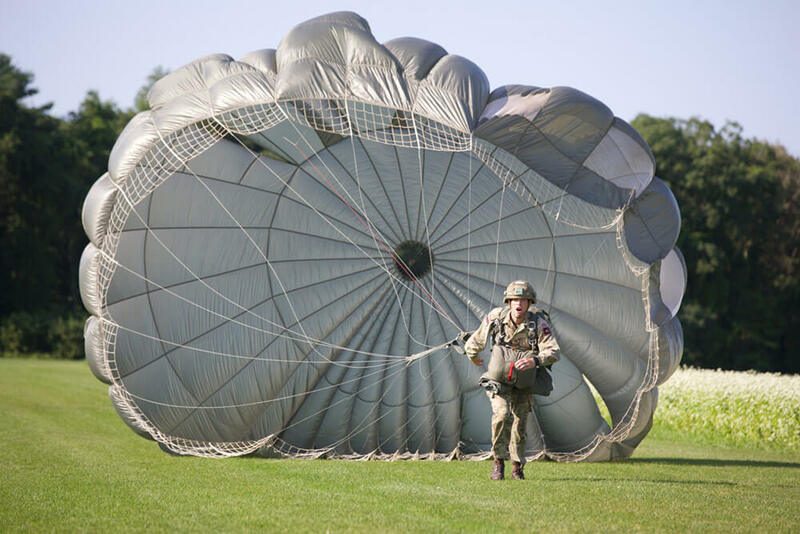 Though Maryland’s SOD-O sends paratroopers to Leapfest every year, this year was MSG Stout’s first time participating. Leapfest is the world’s largest and longest running annual, international static line parachute training event and competition. Its stated purpose is to “promote the camaraderie and Esprit de Corps of the airborne Soldier through international competition.” All branches of Service and several foreign teams usually attend each year. 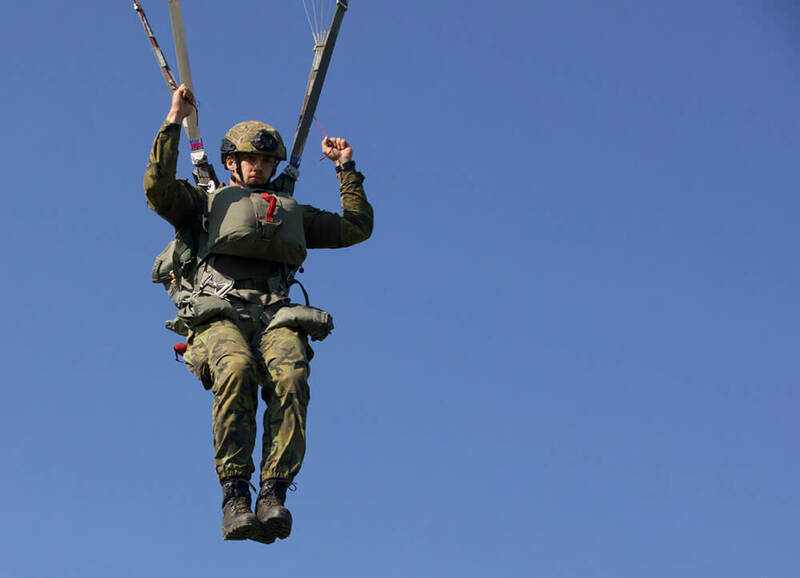 The 2018 competition included 350 of the world’s top paratroopers hailing from 10 countries. Representing the United States were 28 U.S. Army teams – including 12 Army National Guard teams, six U. S. Air Force teams and five joint teams. Jumpers from Botswana, Canada, Czech Republic, Italy, Germany, Mexico, Netherlands, South Africa and the United Kingdom made up the total 31 international teams participating in the 2018 event. Teams are made up of five members – four jumpers and one alternate jumper. Competitors jump from a CH-47 Chinook helicopter at 1,500 feet using an MC-6 static line, steerable, parabolic parachute. The competition consists of both an individual and team event. Individual jumpers are required to complete two jumps, while teams are required to complete a total of eight jumps between the team members. The goal of the jumps is to land as close as possible to a target area in the landing zone. After landing – using the proper parachute landing fall technique – contestants are timed by judges as they make their way to the final target area. The competitor(s) with the shortest combined time wins. MSG Stout completed his winning individual jump with a two-second time to the target. 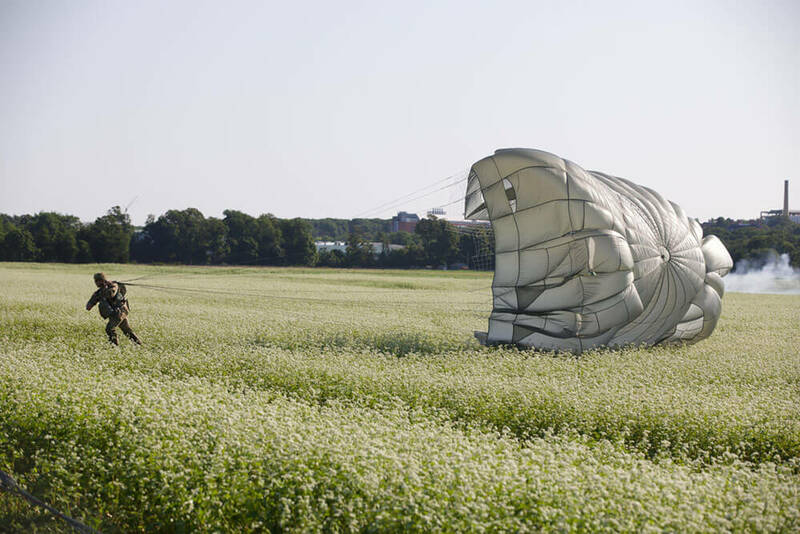 To prepare for the competition, the Maryland SOD-O team took advantage of drill training, practicing core parachuting skills while the team members had access to available aircraft within the Maryland Army National Guard’s Army Aviation command. “As a unit, we are really set up well for an event like Leapfest,” MSG Stout commented. COL Ellis Hopkins, commander of the 56th Troop Command, Rhode Island Army National Guard – the host unit for Leapfest – remarked about the competition essentials outside of the actual jump. “The jump is the easy part,” he said. COL Hopkins went on to note that it was proper technique and safety that was a priority during the competition. Jumps were only conducted with winds of 13 knots or less and visibility of at least 2,000 feet, he said. Competitors were also required to demonstrate a firm knowledge of the five points of performance and three rules of the air (see sidebar) before being allowed to compete. Landing is critical in the competition. Leapfest contestants are not timed for how long it takes them to get from the aircraft to the ground, but rather how long it takes them to get from the point of landing to the point of the target’s center. That requires a lot of hustle and even some luck. If a jumper’s parachute catches a gust of wind and inflates with air while they are making their way to the target, they may be pulled backward. That can really mess with their time. If the wind is going with them where they land, they might have an advantage. And even the best landing is no walk in the park. CW4 Olsh also commented on how he uses Leapfest, and other events like it, to challenge himself and face his fears. Although Leapfest is centered on the competition, the training portion of this annual event offers participants valuable collaboration opportunities. During the training component of the 2018 event, CW4 Olsh jumped with the jumpmaster of the Botswanan commando team. After working together, the two soldiers were later allowed to exchange wings. “You can actually submit documentation up through your [human resources] channels to be allowed to [wear the wings] on your service uniform,” CW4 Olsh noted. Over the years, Leapfest has proven to be an outstanding demonstration of airborne skills. It is also a critical opportunity for paratrooper soldiers from around the globe to build interoperability and increase readiness.